Traveling to Los Angeles? This is the best spot on the internet to find places to swim in Los Angeles. Each day you are not swimming you're losing precious time to increase your skills a be a better swimmer! No more excuses!. 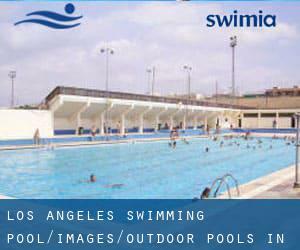 These would be the Outdoor Pools in Los Angeles other users have reported. Are you a local and your pool is not listed? Contact us to ADD IT. It's cost-free! Please contact the facilities to check which activities are offering and their timetables. Looking for Swimming Pools? Quite a few of them belong to gyms or sport centers which also offer you lessons. 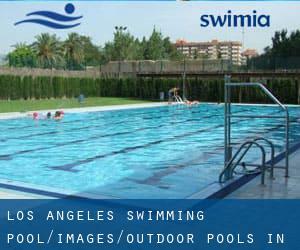 Please check the nearest Outdoor Pools in Los Angeles or Contact us to ADD IT. It's free! Swimia.com needs your feedback to ensure all the information is valid, since perhaps this pool is no longer open towards the public. Updated on 2019 220 Westwood Plaza , UCLA Campus , Westwood , Los Angeles , CA , USA (Postal Code: 90095). Among all the activities offered by the center, if you are interested in swimming you will get pleasure from 33 yards with bulkhead for 25 yards or 25 meters, 8 lanes, 5 feet - 12 feet depth, Outdoors. Just in case you want to make contact with this Swimming Pool before dropping by, we only know the phone number. Updated on 2019 2025 Avenue of the Stars , Century City , Los Angeles , CA , USA (Postal Code: 90067). Among all the activities offered by the center, if you are considering swimming you can expect to appreciate 20 yards x 30 feet, Outdoors. Just in case you would like to contact this Swimming Pool before dropping by, we only know the phone number. Updated on 2019 1600 Campus Rd. , Northeast L.A. / Eagle Rock , Los Angeles , CA , USA (Postal Code: 90041). This sports center provides 25 yards, 6 lanes, Outdoors. For this Pool, only phone number is number here. Updated on 2019 19216 Singing Hills , Porter Ranch , Northridge , CA , USA (Postal Code: 91326). This sports center offers 25 yards, 6 lanes, Outdoors. Contact data for this Swimming Pool similar to phone number and email address are number. Updated on 2019 3980 Menlo Avenue , South L.A. / USC , Los Angeles , CA , USA (Postal Code: 90034). This great and large sports center lets professional swimmers like you enjoy Olympic size, 8 lanes, 4.5 feet - 16 feet depth, Outdoors. Additionally, within these facilities you can try 40 meters, 5 lanes, Outdoors. Unfortunately we do not have the email address of this Pool, but we can provide you with the phone number. Updated on 2019 120 Westwood Plaza , UCLA Campus , Westwood , Los Angeles , CA , USA (Postal Code: 90095). Swimmers like you reported 25 yards, 6 lanes, Outdoors. Unfortunately we do not have the email address of this Swimming Pool, but we can give you the phone number. Updated on 2019 UCLA Campus , 111 De Neve Drive , Westwood , Los Angeles , CA , USA (Postal Code: 90095). Swimmers like you have reported Olympic size, 8 lanes, Outdoors. Also, you will find 25 yards, 6 lanes, Outdoors. Just in case you need to make contact with this Pool prior to dropping by, we only know the phone number. 456 S. Mathews St. , East L.A. / Boyle Heights , Los Angeles , CA , USA (Postal Code: 90033). This sports center offers Olympic size x 25 yards, Outdoors. Contact information for this Pool such as phone number and e-mail address are number. 15500 Stephen S. Wise Drive , Bel-Air , Los Angeles , CA , USA (Postal Code: 90077). Among all the activities offered by the center, should you be keen on swimming you will enjoy 25 yards, 6 lanes, Outdoors. Just in case you would like to contact this Swimming Pool just before dropping by, we only know the phone number. Updated on 2019 701 Stone Canyon Road , Bel-Air , Los Angeles , CA , USA (Postal Code: 90077). Swimmers like you reported 80 feet, Outdoors. Unfortunately we do not have the email address of this Swimming Pool, but we can give you the phone number. Updated on 2019 1026 W. 34th St. , University of Southern California Campus , Los Angeles , CA , USA (Postal Code: 90089). This great and large sports center lets professional swimmers like you enjoy Olympic size x 25 yards, 8 lanes, 6 feet 7in - 13 feet depth, Outdoors. Additionally, within these facilities you can try 25 yards x 25 yards, 8 lanes x 8 lanes, Outdoors. Unfortunately we do not have the email address of this Swimming Pool, but we can provide you with the phone number. Student Recreation Center , Vincennes St. and University Student Union, Prairie St. , Northridge , CA , USA (Postal Code: 91330). Few days ago a regular user of this center told us they offer 25 yards, 8 lanes, Outdoors. Furthermore, they keep in good conditions 24.8 yards, 6 lanes, Outdoors. Contact facts for this Swimming Pool for instance phone number and email address are number.